I Don't Think I Ever Got Around to Putting This Here - Her voice was clear and musical, but deeper than woman's wont. 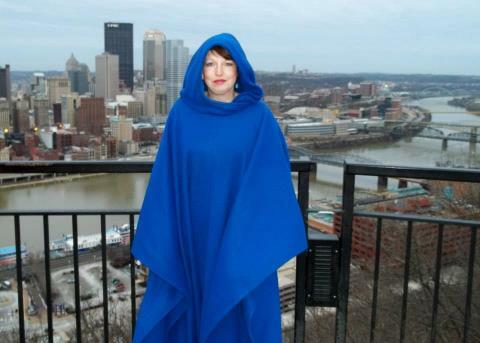 My blue winter cape, inspired by Galadriel's farewell cape. Because every day should be a costuming day.